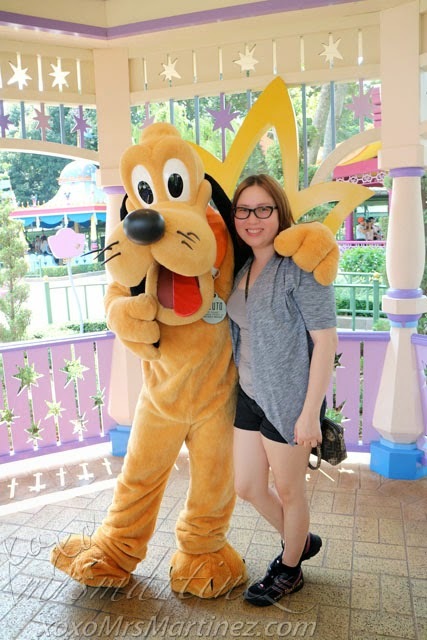 After checking in late at night at Ovolo West Kowloon Hotel, we wasted no time and visited Hong Kong Disneyland Resort the very next day. 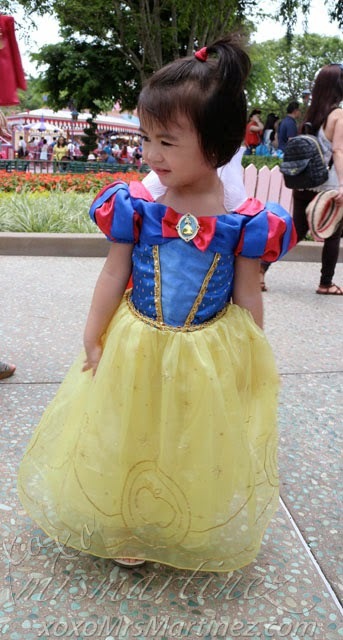 I made sure to pack not just one but several outfit changes for my little Snow White princess. Due to the summer heat, I also decided to pack extra clothes for my husband and I that fits really well inside my Kipling Super City turned diaper bag. It turned out to be a good decision. By noon time, our clothes were literally drenched in sweat. We purchased two adult pass valid for 2 days. As parents, we know one day is not enough for the little one. We scheduled the last visit the day before we left Hong Kong so the magic will still be alive in her memory. We were so busy finding all the Disney Princesses for a photo-op that we failed to claim our personalized name tag and free meal set. 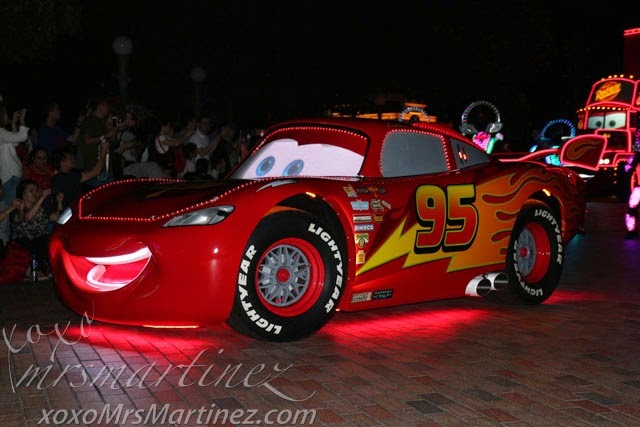 To view this promotional offer, you can visit Hong Kong Disneyland. The promo is valid from March 1 to June 30, 2015. *2-Day General Admission Ticket is valid on any 2 days within a 7-day period. First visit muse be on or before the last day of the validity period printed at the back of the ticket. After having our scrumptious lunch at Plaza Inn located in Main Street, USA, our first stop was Mickey's PhilharMagic, one of the attractions in Fantasyland. It's a magical 3-D Adventure! Next stop, Meet, Greet & Take Photos with Disney Characters such as Mickey Mouse and his Disney Friends at Fantasy Gardens. By 3:00 pm, resort visitors were lining up for the "Flights of Fantasy Parade". 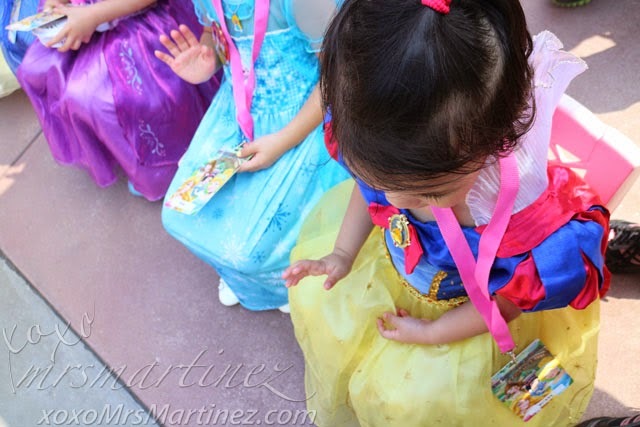 There is a corded area for little princesses dressed in costume. We didn't know that we need a Princess "VIP" pass (like the one my daughter was wearing) to enable my daughter to join the parade. 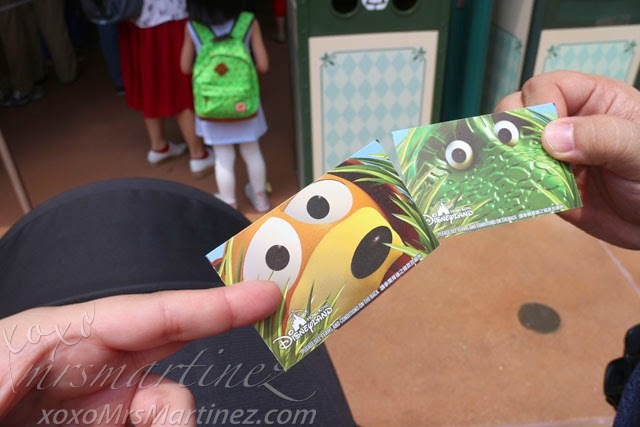 Passes were distributed earlier on when the park just opened. Luckily, there was an extra seat and my daughter was allowed to join the Princess Parade when the tiny princesses danced at the center of the parade. 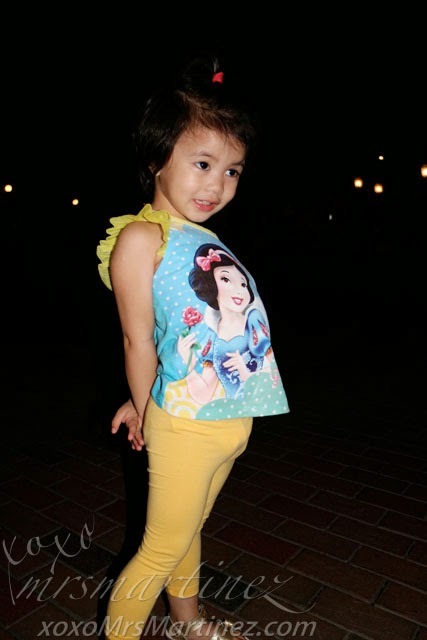 Thank you, Hong Kong Disneyland. You just made my daughter's day. 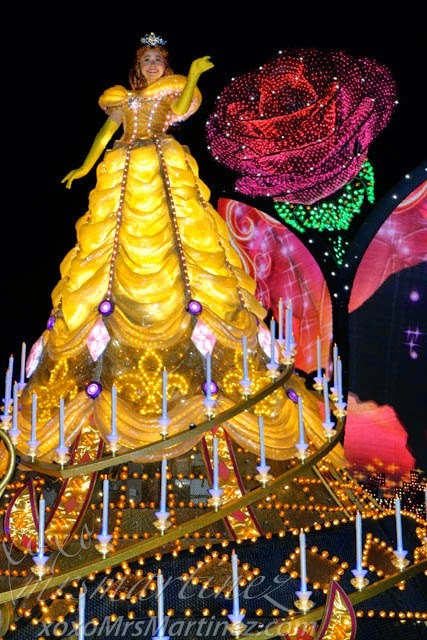 It was a once in a lifetime magical experience for her! 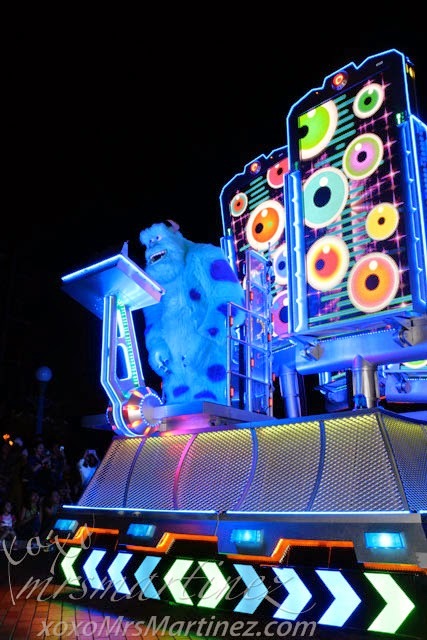 At 7:30pm, we watched "Disney Paint the Night" Parade. It was short but it made my daughter excited when she saw two familiar figures- Belle of Beauty and the Beast and Ariel of The Little Mermaid. We ate dinner inside Starliner Diner in Tomorrowland where a meal is cheaper at less then HK$100. We finished dinner just in time to catch "Disney in the Stars" Fireworks at the Sleeping Beauty Castle. 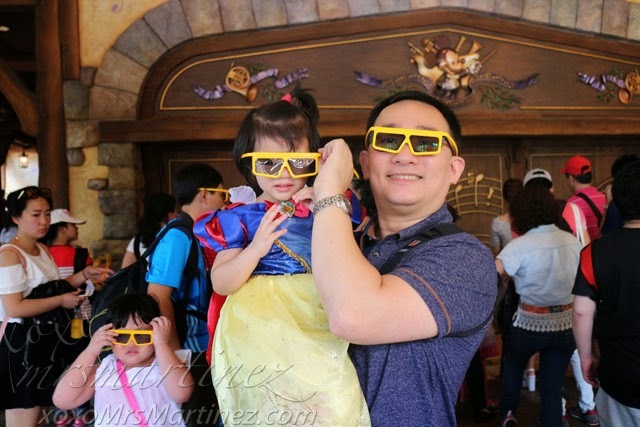 You can read about more about our Hong Kong Disneyland Adventure Day 2 here. Ocean Park Adventure here and my new baby, Bottega Veneta Brunito Intrecciato Gros Grain Messenger Bag.